Show #4 of Post-Sea Change Gigs. live debut of "Long Way Back From Home" and "True Love Will Find You In The End." 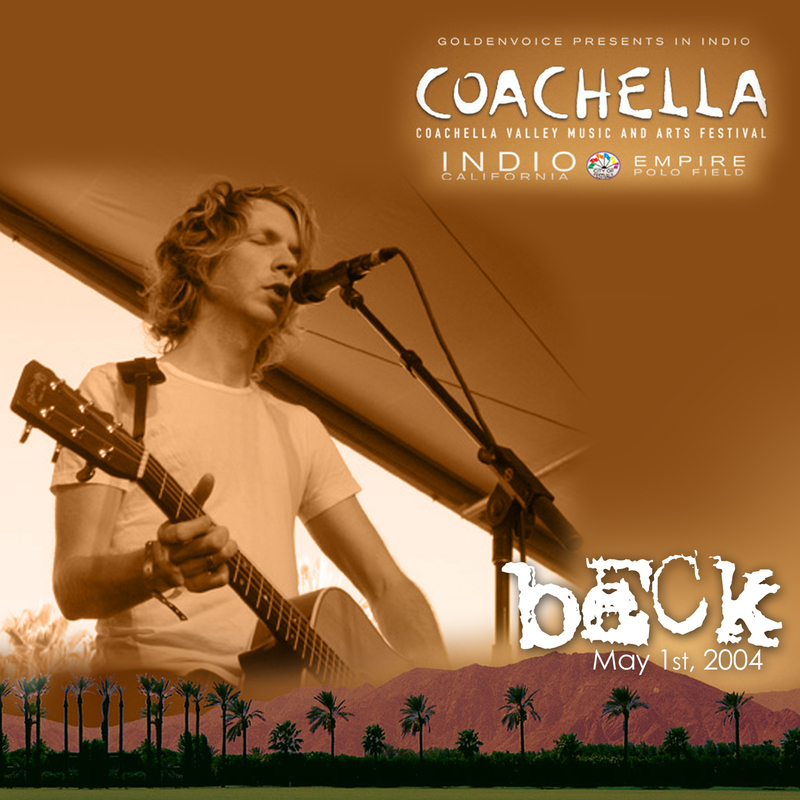 Beck's "surprise" appearence at the Coachella Festival in Southern California. Apparently, he wanted to go, called the promoter and asked if he could play, and at the last minute got added to one of the side tents. He played alone. 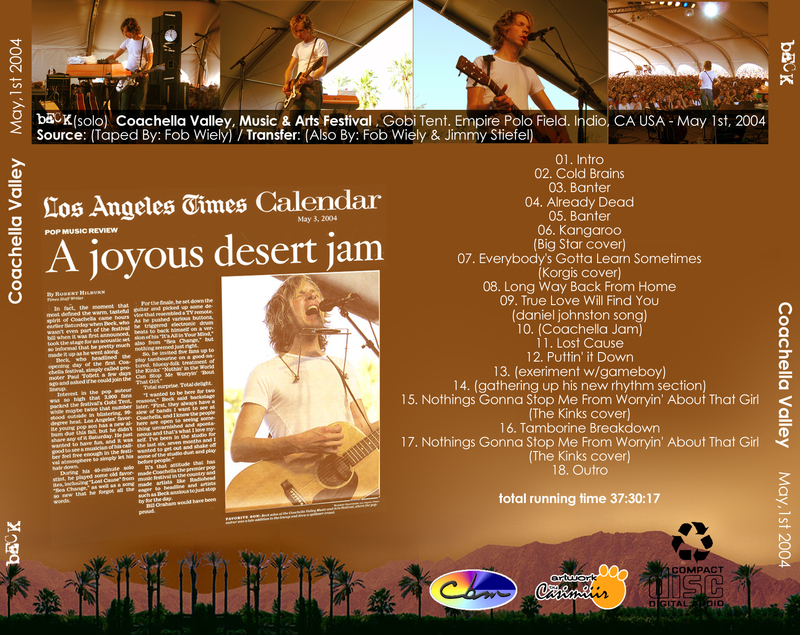 Beck's name was not on the festival poster, however he was included in time for the little schedules that get handed out. He played from 4:35pm-5:20pm. "Long Way Back From Home" is an improvised tune over the drumbeat/percussion from a Serge Gainsbourg song, which would later be used as both "Landslide" and "Black Tambourine." Not sure what made Beck remember "Puttin It Down," but he did. He doesn't remember the lyrics fully, laughing at how funny some of the lines are, before improvising two new verses about Coachella. Next Beck uses his Gameboy, which he seems to have ripped into a music instrument somehow. It doesn't work out very well. So Beck then pulls some fans on stage to play tambourine as he sings The Kinks' "Nothin' In This World."